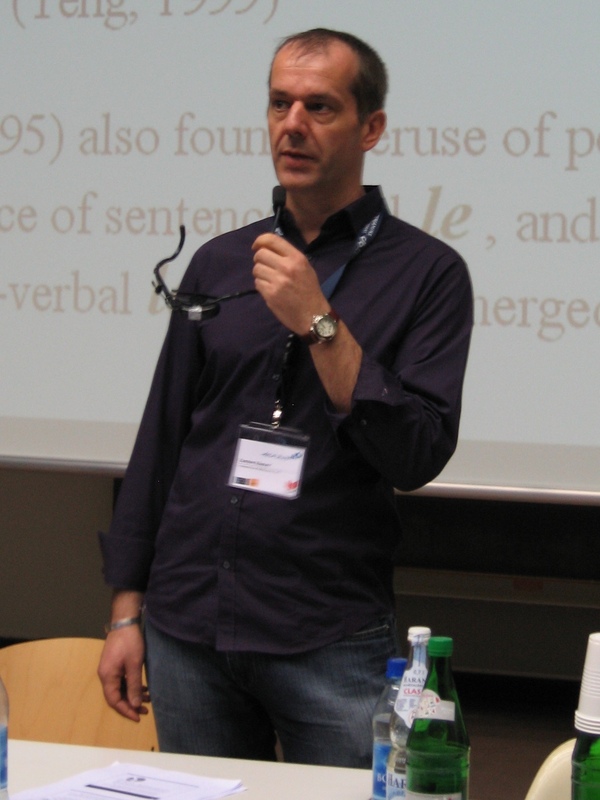 Carsten Roever is Associate Professor in Applied Linguistics. His research interests are language testing, interlanguage pragmatics and second language acquisition with a particular focus on learning and assessment of interactional competence in a second language. While his own research focuses on English as a target language, he has also supervised students working on learning of interactional abilities in Arabic, Mandarin, Japanese, Indonesian and Vietnamese. Carsten was trained as a secondary school teacher for English (TESOL) and Psychology at Gerhard Mercator University in Duisburg, Germany. He worked as an ESL teacher for business English and subsequently undertook a Ph.D. in Second Language Acquisition at the University of Hawai'i, where he graduated in 2001 with a dissertation on testing of ESL pragmatics (supervised by Prof. Gabriele Kasper). He worked for a year in test research at Educational Testing Service in Princeton, NJ, before joining the University of Melbourne in 2002 as Lecturer in Applied Linguistics. Carsten has authored a number of articles, book chapters and books, including "Language testing: the social dimension" (Blackwell, 2006) with Tim McNamara and "Testing ESL sociopragmatics" (Lang, 2014) with Cathie Elder and Catriona Fraser. He served as co-editor of the Australian Review of Applied Linguistics from 2009-2015.